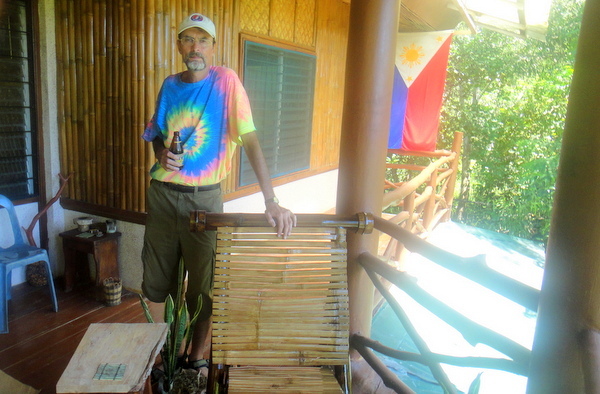 Papa Duck, my American expat friend from Florida, has retired to the Philippines. With hard work, socking away money, and a ton of planning and research, Papa D was able to start his life in paradise at the tender age of 54. And he began this chapter of his new life with a new wife, his Filipina sweetheart, Anne. The Kano and Papa Duck, back row. Our lovely wives, my asawa, Melinda, on the left, Anne on the right. 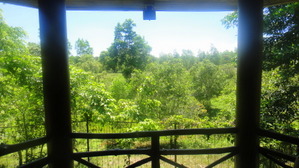 Taken last year at The Farm in Guimaras. PD, aka Randy, and his asawa recently visited us in Iloilo City. After a leisurely day at the finest beach resort in nearby Guimaras, Raymen Beach Resort, our crew headed out to spend a night at The Farm, the home of The Tom Cat and his girlfriend, Lenlen. Tom and LenLen graciously provided accommodations for my lovely asawa and I along with Papa Duck and Anne. Our new friends from Iloilo, Rease and Liza, had to return to Iloilo the next day to attend a birthday party for their niece. After a tour of the grounds and the farm house that Tom renovated a few years ago, Rease and Liza took off to catch the pump boat at the Jordan Wharf in Guimaras for the return trip to Panay Island. I took a quick shower (which I'm sure everyone appreciated) as the ladies freshened up and did a quick re-application of their make-up. For those of you who might doubt that a trio of Filipino ladies can apply their "war paint" quickly, I was amazed to see them ready to go after my quick shower. LenLen had called for a trike driver to take us to our favorite eatery on the mango island, Lisa's Talabahan, Etc. and we were off. My American expat friend Tom was not going with us as he was quite tired after the day at the beach and was recovering from a severe bout of dengue fever. His significant other wanted to sing videoke. Videoke is the karaoke of the Philippines. 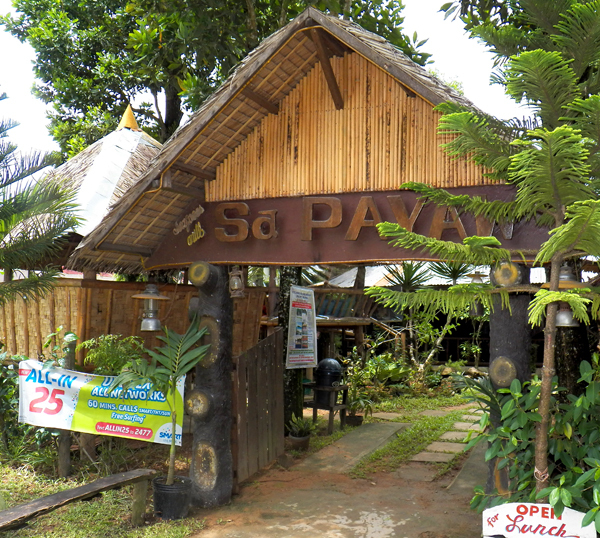 After our usual delicious fare at our favorite oyster bar in Guimaras, we decided to head out to Sa Payaw, one of Tom's favorite hangouts. A few other patrons were already at the establishment and one Filipino man seemed intent on singing most of the evening. I, too, was tired, and didn't feel like waiting for the gentleman to give up the microphone. I wasn't recovering from dengue. I'm just an old geezer. I'm sure I embarrassed my asawa (again) as I announced my intention to leave our table, after being handed menus, and to return to the farm. It wasn't the first time I've embarrassed her in over 13 years of marriage . It won't be the last. We hitched a trike ride home and LenLen put on a DVD that only I had seen before, "Fargo." Quirky, offbeat flick from the Coen brothers that we enjoyed watching though we had to wake up poor Tom occasionally when we switched DVD's (the film was recorded on multiple discs) and the picture froze. The Tom Cat, seldom flustered, fixed the problem in no time and we were able to finish watching the movie. It was off to bed, however, at the film's end as the whole crew was fatigued from our day at the beach in the Philippines. Up next morning at 4 am I waited for the rest of the crew to wake up. Everyone stirred around 5 am and LenLen prepared a delicious pancake breakfast. My lovely asawa took a trike ride to purchase some hot pan de sal at the Sari-Sari Breadstore at "The Crossing" in downtown San Miguel, Guimaras. 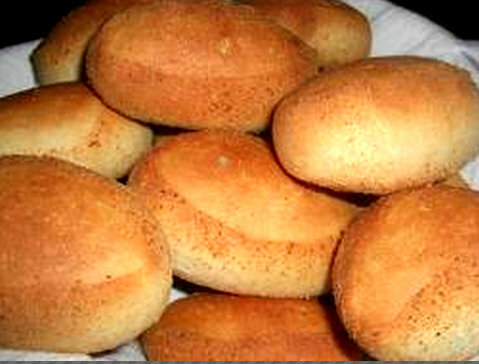 Pancakes and pan de sal are a great way to start the day in the Philippines. Visited the nearby gift shop at The Trappist Monastery in Guimaras and purchased a variety of delicious jams and jellies and other tasty products. Headed over to my asawa's house at "The Compound" and visited with Lolo and Lola and our little niece JalAmiel. It was P.E. day, Physical Education day at my sister-in-law's preschool. Our niece Michelle, is still living in Guimaras helping out as a teacher's assistant. She has a love for children that was evident by the way she handled her young crew. The kids were entertaining us with their exercise routines as JalAmiel, who would attend a class later, was busy watching one of her favorite cartoons, Dora the Explorer. She loves her Cartoon Network, especially Tom and Jerry. Headed back to Iloilo early that afternoon. Papa Duck and Anne checked out our subdivision in Iloilo the following day as they plan to relocate there. My wife fixed one of her delicious spaghetti dinners for our lunch and we walked around our enclave to make room for the Red Ribbon cake and Magnolia Ice Cream we would eat later. Again, many thanks to Randy and Anne for their support. Thanks, also, to The Tom Cat and LenLen for providing us with superb accommodations at "The Farm." 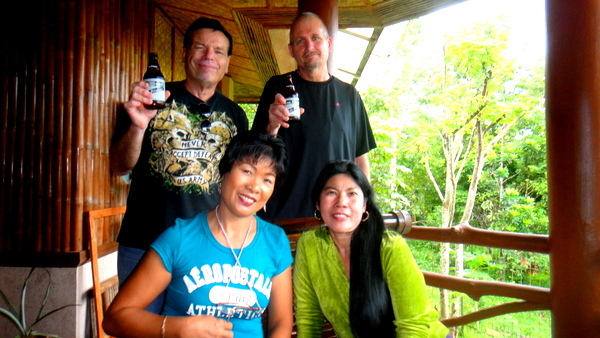 The newlyweds flew off to Davao City on Sunday morning to visit with Bob Martin from Live in the Philippines. I'm sure Bob will appreciate the couple's visit as much as I did. My asawa and I both look forward to their soon return. See you both soon. Take care. Sorry we couldn’t stay, would have loved to spend more time with y’all. Our trip to Antique was also fun. One day gonna have to drag all of ya over there. 90 pesos each way for bus from Iloilo and only 450 pesos a night to get a room on the beach. Food is also reasonable. Have fun in Davao Papa Duck! It’s a nice city and has even more to offer Westerners than this one does. We’ll be sure to make that trip to Antique in the near future, Rease. Sounds like a great time. We’ve only been in that area once, really peaceful and much more relaxed than the hustle and bustle of the big city. 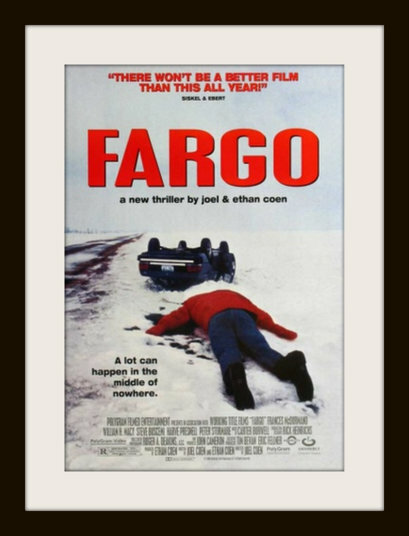 FYI, Fargo won two Oscars (leading actress and screenplay) of the six+ nominations it rec’d that year. It started out as a quirky, off beat story and finished as a major accomplishment. Frances Louise McDormand, the lead actress, was tremendous in that movie, Owen. She deserved that Oscar. “Raising Arizona,” by the same Coen brothers that did “Fargo” is another quirky, offbeat movie of theirs that I loved. The latest Coen Bros film was the remake of True Grit, done carefully honest to the book, more so than John Wayne’s excellent original. Owen, I saw that True Grit remake with Jeff Bridges. Excellent movie! Had no idea it was done by the Coen Brothers. Thanks for the info. Charles Portis? Didn’t know he was the author of True Grit, Owen. Awesome movie, though.